If you missed out on any of our adventure in April, take a peek at this montage video. Think we should do another one road trip adventure? Where should we go next? Reply to this email and let us know! 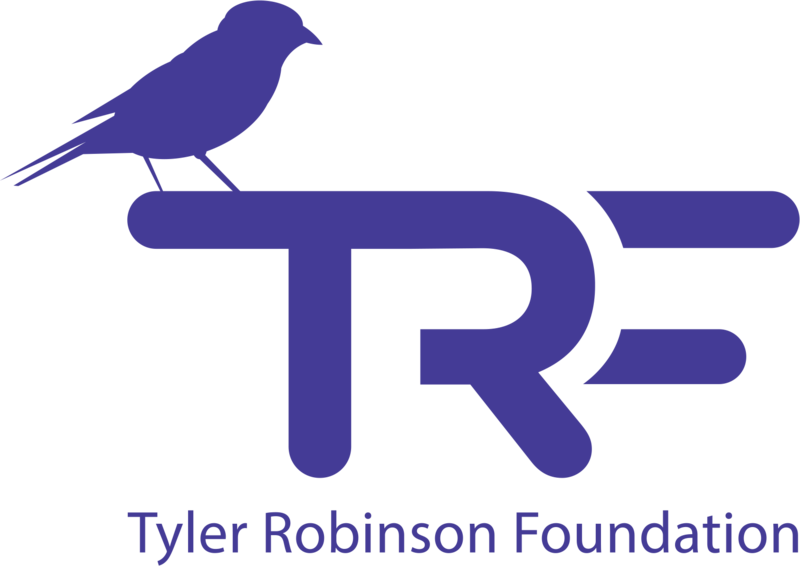 The TRF Advisory Board is an elite group of 20 outstanding individuals dedicated to advancing the mission of the Tyler Robinson Foundation, and applications are NOW BEING ACCEPTED. If interested, please review all details & application on our ADVISORY BOARDpage. With a handful of spots open on each Advisory Board Committee, we’re looking for the best of the best. 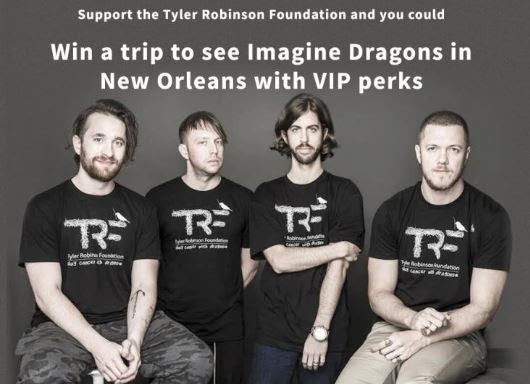 Support TRF and win an amazing VIP Getaway to the Imagine Dragons show in New Orleans. 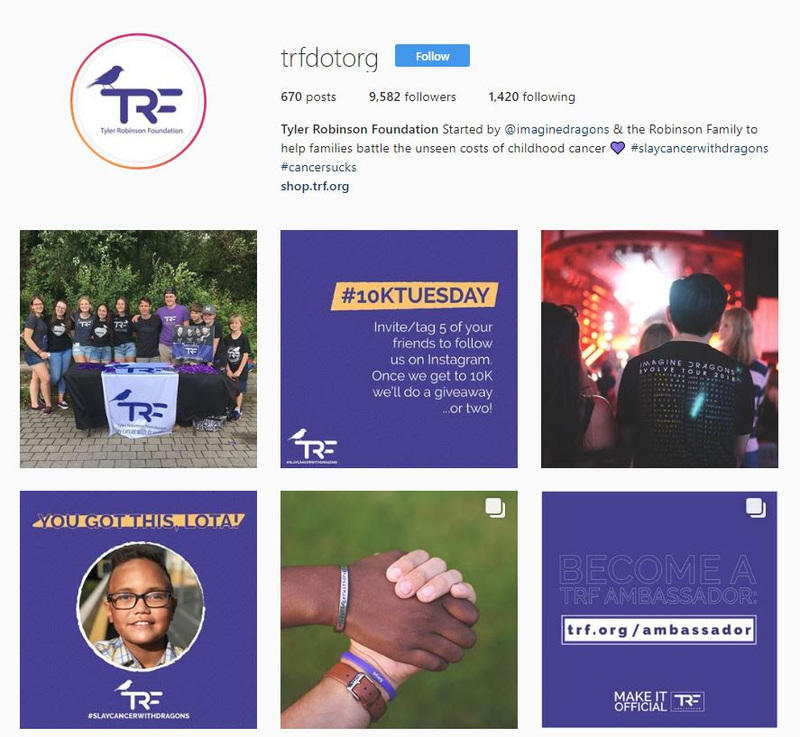 Contest ends in a month. Enter HERE & good luck!